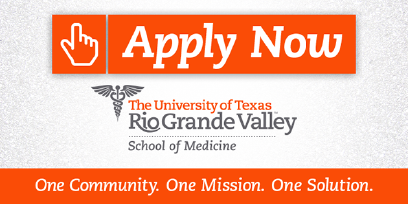 Last week the Texas Legislature agreed to give the University of Texas Rio Grande Valley School of Medicine $54.1 million for the next two years — $7.2 million short of what lawmakers approved in 2015 — pending the governor’s approval. This could translate into reductions in the medical school residency programs and future university healthcare programs, administrators have told The Monitor. That wouldn’t have to happen, however, if all of the local cities and governmental entities that have pledged to support the UTRGV School of Medicine would pay what they owe. Specifically, the City of McAllen has a memorandum of understanding to pay up to $2 million per year. Initially, we believed that meant annual payments of $2 million. However, as an administrative building was not built within the city’s limits — much to the chagrin of city leaders — we noted that the city’s payments to UTRGV ceased after the first year in 2014. $1 million this fiscal year for such a payment, however none has been made, as of yet. The City of Mission pledged annual payments of $250,000, but has not given one dime. Only the City of Edinburg and Hidalgo County have upheld their full $1 million annual commitments. The City of Pharr pledged $500,000 per year and has paid in 2014, 2015 and 2016. On Friday, city officials told us they will hold a check presentation Monday to pay $500,000 to UTRGV for this year. We commend the entities that have fulfilled their commitments and have continued to support our new medical school. They obviously understand the economic driver that this medical school could one day be for our region — hopefully of the magnitude that the University of Texas Health Science Center in San Antonio. But it will take resources and that means honoring commitments — particularly in the critical early years of this institution. It also will require UTRGV officials to extend an olive branch to local leaders and to work through problems. They must ask what the university can do for those communities and how they can make programs and collaborations come to fruition — such as constructing an administrative building in McAllen if that is what it takes. Face it: Lawmakers in Austin who have little investment in the Valley pointed to a lack of community support for the medical school because voters failed to pass a healthcare district and because some jurisdictions failed to live up to their commitments. Gov. Greg Abbott still has line item veto power over this funding. And it all starts over again two years from now. We must demonstrate to these lawmakers the Valley’s commitment to this resource. Therefore we renew our call for the cities to honor their commitment if this institution is to thrive.